ON-TOPIC: It's Ma-Rean-a from the popular band known as Off the Hook! Renamon is an awesome Digimon. Zed, if he was a squid. Hatsune Miku = best vocaloid ever! Villager: So I was punched in the face by that Dragoon fellow this morning. Innkeeper: By the light of the moon! Whyever did he do that?! Villager: Because I called him "Kain Breakwind". I do, it's a terrible joke, but he's combining Squid Kid and Scooba Gear. @Reanfan TECHNICALLY he's an octopus, not a squid. ON-TOPIC: You may be Reanfan, but I'm a Marina fan! Whatever happened to Zed? #BringZedBack #SaveZed. #OctolingsHaveKidnappedZed. ON-TOPIC: Steve Reanley III, or "Rean" for short. Kingdom Hearts, huh? Whatever happened to Queendom Diamonds, Jackdom Spades and Acedom Clubs...? Is Kalamari squid or octopus? In all seriousness, calamari is squid. The Squid Sisters, Callie and Marie, have names that form a pun on it. Are you sure he isn't on of those Octopus shaped Japanese hot dogs? Nope, he's a Ngweh through and through! I just realised something. Squidkid Saga is a fanfic with cameos of peeps I know in real life. Mushroom Force is (technically) also a fanfic, and features a cast of peeps I know on WiiWareWave. Octolings are Krazy little kritters! Villager: "I demand a refund for this Moaning Loser!" Redd: "Ohoho, my dear customer. This is a real painting, is it not? Paint on canvas, etc. etc., yada yada yada...now, can I interest you in this genuine reproduction of The Scram? Only 500,002 Bells." GeekyGamerZack: Actually, I guess that'd be spoilers. Sorry! ON-TOPIC: Ah, the protagonist of Dr. Reanbotnik's Rean Bean Machrean. I'm not familiar with that character. Nah, I'm just squidding. @Nintendobuddy64 Are you sure you're not OCTEASING me? Reanfan wrote: @GeekyGamerZack Octopus in Squidland. ON-TOPIC: Your avatar suggests that you would be interested in my Legend of Zelda D&D campaign on my favourite play-by-post forum. Things you find under the sea for $200 Alex. @Nintendobuddy64 Ha that was a good one! Kain Highwind with a couple of dolls? ON-TOPIC: Isn't that a character from Hyrule Warriors: Definitive Edition and its dehanced ports for 3DS and Wii U? 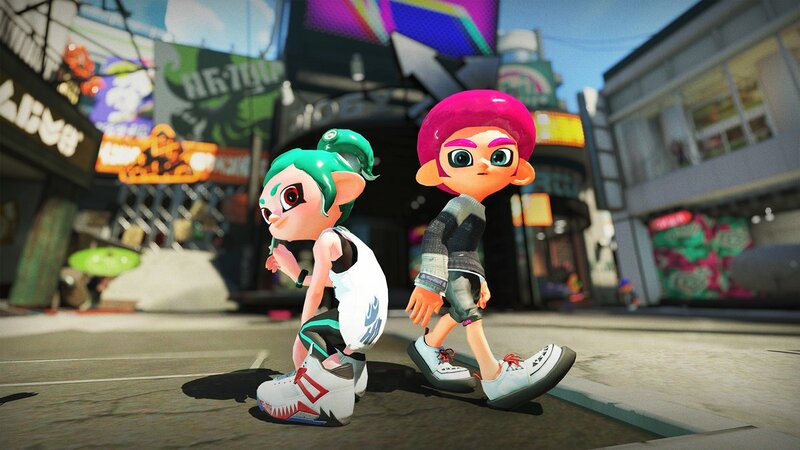 Are Octolings cosmetic or are they actually different gameplay-wise compared to Inklings? Reanfan wrote: Are Octolings cosmetic or are they actually different gameplay-wise compared to Inklings? The Octo Expansion is definitely worth it, though, even if you don't intend to play as an Octoling in multiplayer. ON-TOPIC: So which game is Rean from, again? @Reanfan Hm...I just Googled @SplatZed, but I couldn't find a game by that title...wait...you're just being fresh with me, aintcha? Anyway, my avatar was made for me by...someone special. Purebred, grass-fed LickACow, raised in the pastures of Moo Moo Farm, for the perfect all-natural cowlicks, guaranteed. Is that a blue tongue on top of your inkling's head? Star Ocean I love it!